Redevelopment and Fit-out of existing spaces to provide additional accommodation for world renowned Pump manufacturer at their headquarters in Burgess Hill. 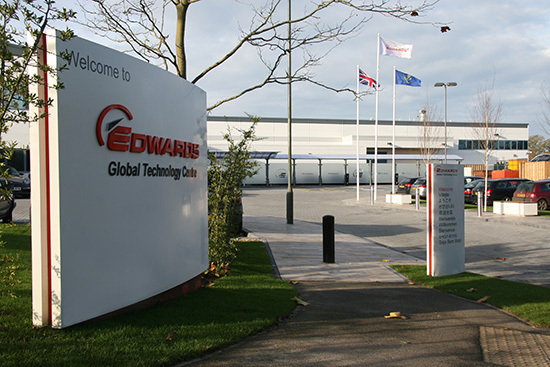 Edwards is a leading developer and manufacturer of sophisticated vacuum products, abatement solutions and related value-added services. Their products are integral to manufacturing processes for semiconductors, flat panel displays, LEDs and solar cells; are used within an increasingly diverse range of industrial processes including power, glass and other coating applications, steel and other metallurgy, pharmaceutical and chemical; and for both scientific instruments and a wide range of R&D applications. BSP are pleased to be have been involved with the multiphase redevelopment of the site. Chartered Consulting Engineers specialising in Low Carbon mechanical and electrical engineering.